What is Dementia? What is Alzheimer's? Alzheimer’s or dementia - what are we talking about? I often hear people getting confused about Alzheimer’s and dementia. Are they different conditions? It can be a bit confusing. Dementia is not itself a disease. It is the word used to describe a special set of symptoms that negatively affect memory, thinking and behaviour. These symptoms occur in particular conditions which are caused by brain injuries or diseases. 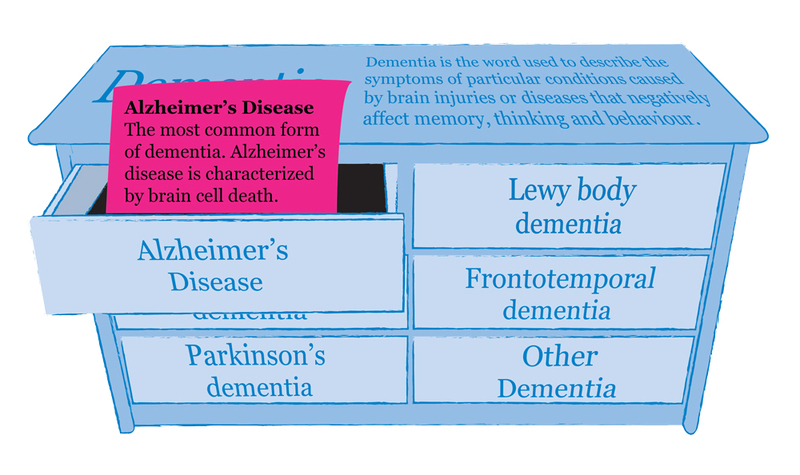 Alzheimer’s disease is by far the most common of these conditions to display dementia. Therefore a person with Alzheimer’s disease has a form of dementia. These changes make it difficult for people to perform basic daily activities. In most people, dementia causes changes in behavior and personality. 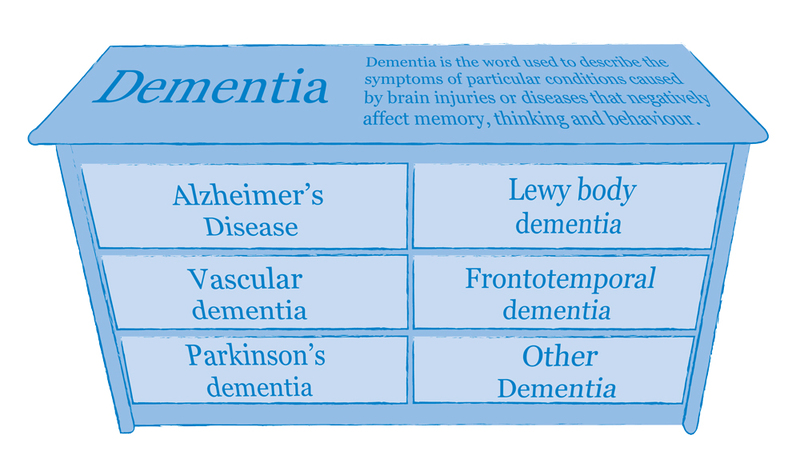 Dementia can be caused by a single disease or a combination of several conditions. Alzheimer’s = The most common form of dementia. Alzheimer's disease is characterised by brain abnormalities known as plaques and tangles which lead to cell death. 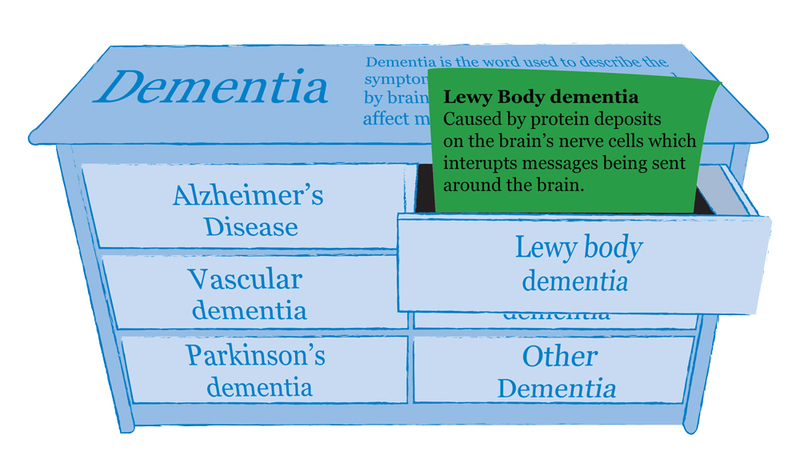 Lewy body dementia = Caused by protein deposits on the brain’s nerve cells which interrupts messages being sent around the brain. 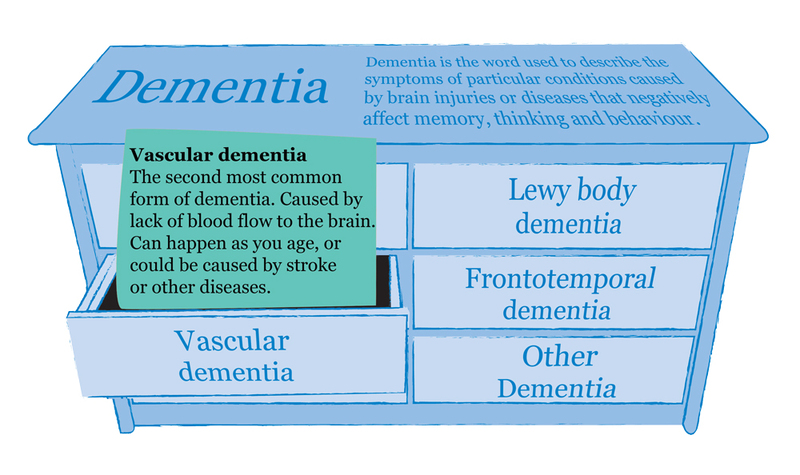 Vascular dementia = The second most common form of dementia. Caused by lack of blood flow to the brain. Can happen as you age, or could be caused by stroke or other diseases. 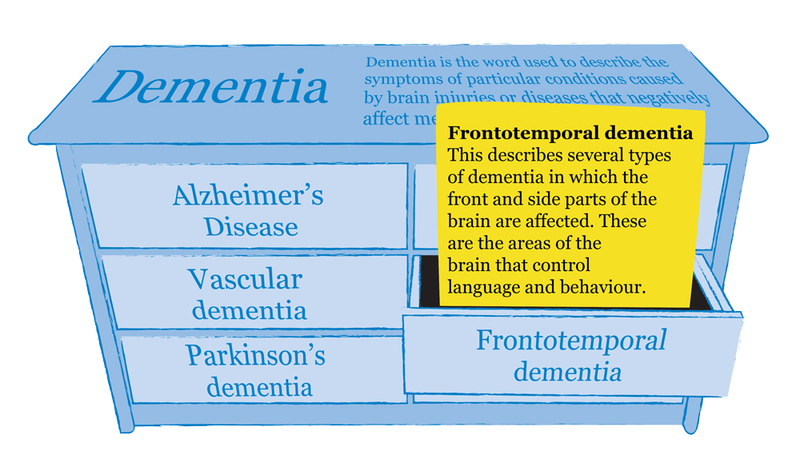 Frontotemporal dementia = This describes several types of dementia in which the front and side parts of the brain are affected. These are the areas of the brain that control language and behaviour. 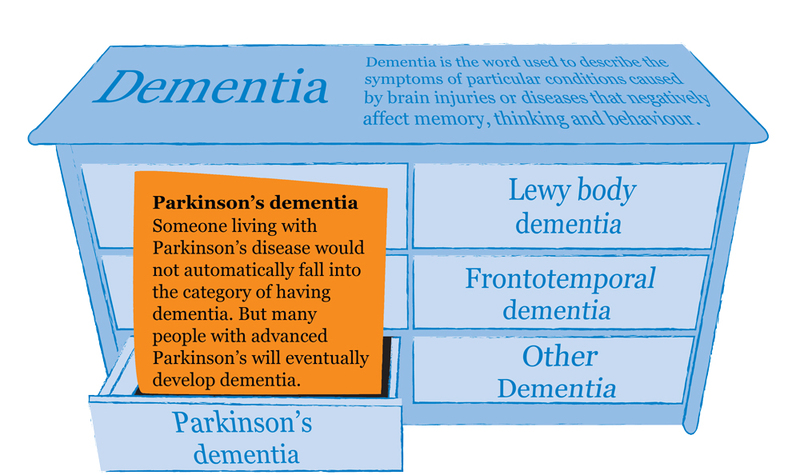 *Parkinson’s dementia = Someone living with Parkinson’s disease would not automatically fall into the category of having dementia. But many people with advanced Parkinson’s will eventually develop dementia. *This is a good example for understanding that dementia is the word used to describe the symptoms of the condition. Someone living with Parkinson’s disease only falls under the dementia umbrella if they develop the symptoms of dementia. 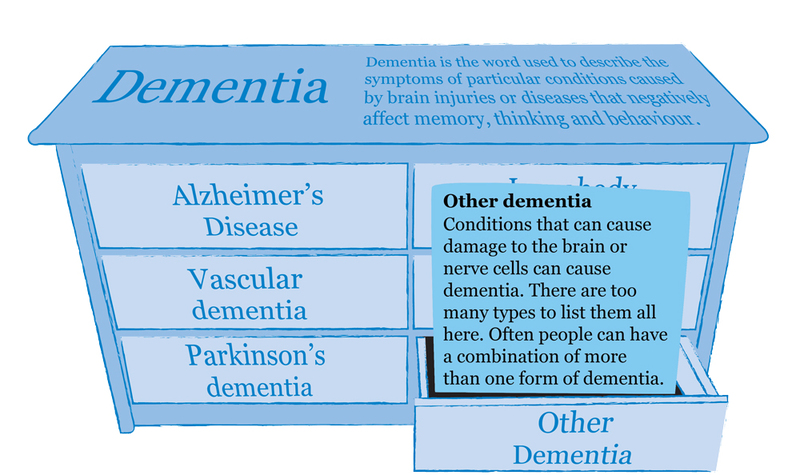 Other dementia = Damage to the brain or nerve cells can cause dementia. There are many varieties of dementia and people can also live with more than one form. Everybody's brain is different and it can sometimes be very difficult for professionals to diagnose what type of dementia someone has as they can present with similar symptoms.